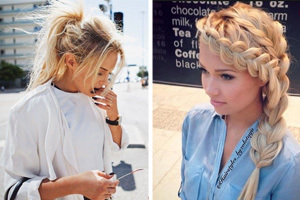 French braids are undoubtedly one of the most popular braid styles in the hair world. They provide more depth and dimension than a normal three-strand braid, and provoke a very lovely finish. Here you will find an enticing collection of french braids ponytails that quickly glam up the rather dull look of a basic pony hairstyle. This look is SO cool- and the best part is, it’s not something you would see very often; which is awesome for ladies who love to make a statement. 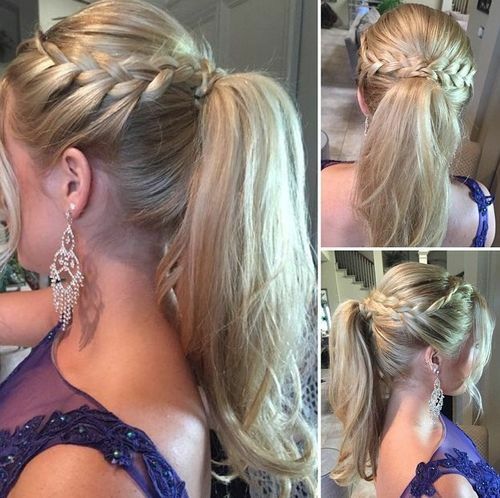 This high ponytail is decorated with a charming halo french braid, followed by a side swept french braid, a bit of tousling and turning around the hair band, and some loosely curled ends to tie it all together. It’s got that ‘schoolgirl chic’ look we all know and adore; and the best part is, it’s easy to throw together. 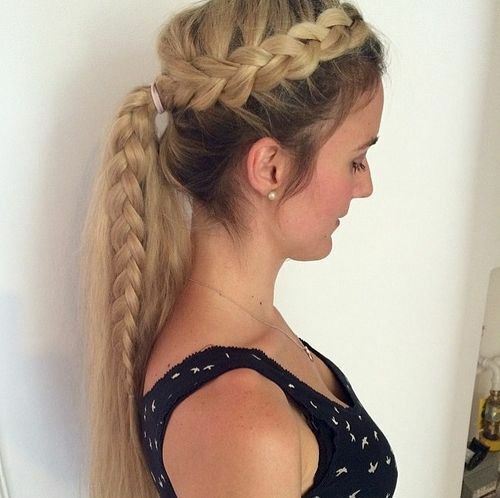 Start off with some double french braids, pulling it back into a mid-height ponytail. Pair with your favorite school attire for an innocent, yet super stylish appearance. One thing a low ponytail lacks is BODY; but now, it doesn’t have to. 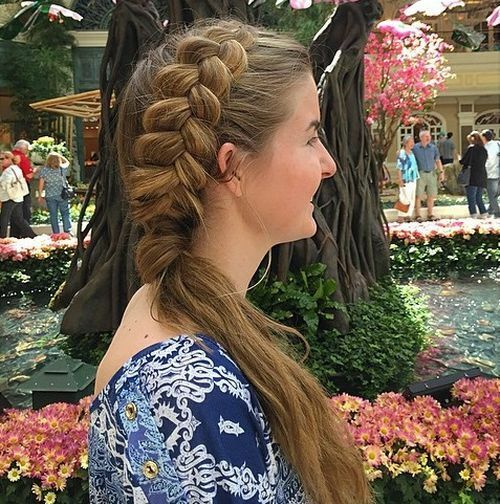 The great thing about adding an accenting dutch braid to the top of your locks, is it instantly gives the look a bit of bulk and fullness that you wouldn’t normally get with a simple low pony. Exotic, yet super easy- it’s the perfect style for the girl who loves to add some edginess to her look without going overboard. 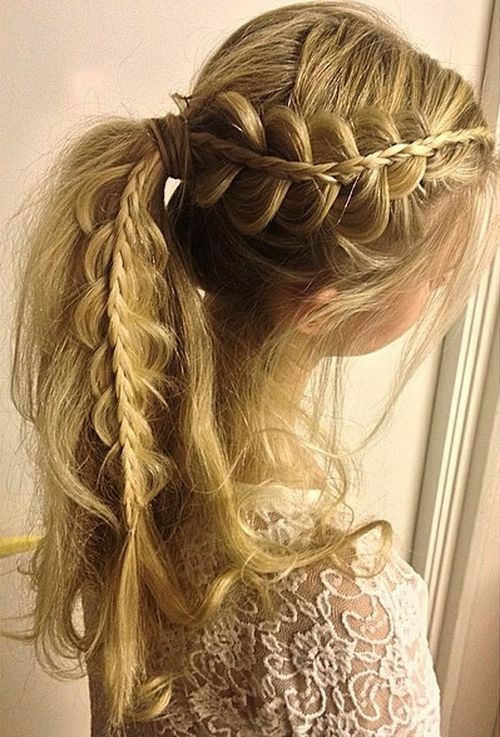 Throw in a trio of stunning french braids before combining your locks into a saucy high pony– love it. To take that classic high ponytail from casual and sassy to elegant and sophisticated, it’s as simple as throwing in a spiral braid. The finish is clean and classy, a great pairing for your little black dress. 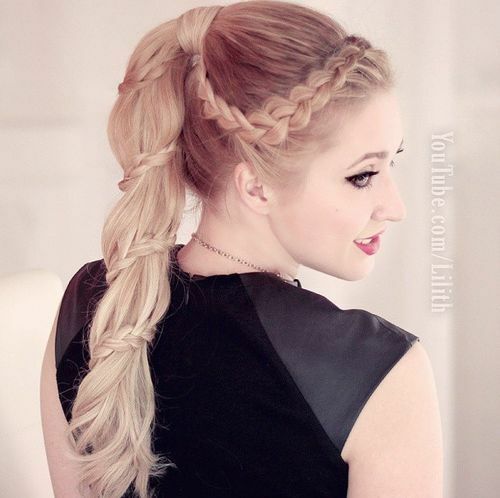 This particular french braided ponytail can easily be dressed up or down, working as an elegant updo for a fancy event or a casual style for a day out on the town. The look is super feminine, and the messy curls inside the ponytail create some whimsical depth and body. Starting with teasing at the crown of the head, this flawless ponytail features a delightful french braid wrapped around for some graceful dimension. She ties her pony together at mid-height, ensuring there’s plenty of teasing done to her locks so the ponytail ‘pops’ with elegant volume. With some charming silver dangling earrings and a stunning dress, it’s a glorious look that can be worn to prom! 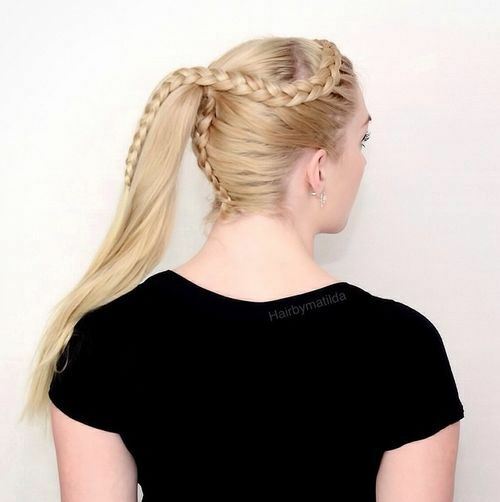 The majority of french braided side ponytail will intermingle all of the hair surrounding the face, but leaving a few pieces loose really adds lovely dimension while softening the overall look. 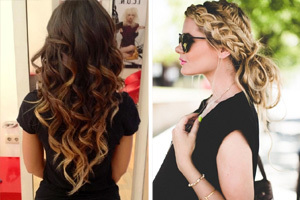 Her double french braids are flawless and have a regal feel that’s enhanced with some loosely waved tresses. 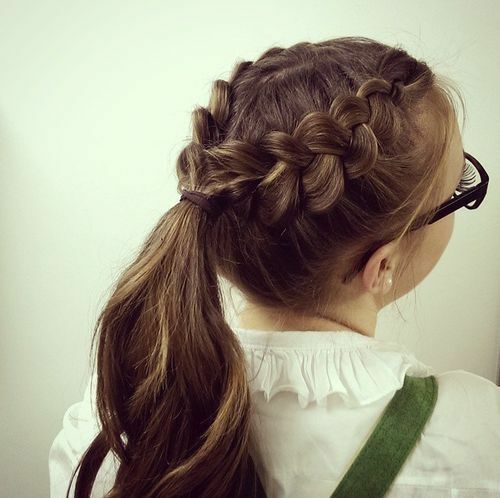 A dutch braid is basically an inside-out version of a french braid. It’s a quick and trendy way to switch up the good ole braided ponytail, and the long braid intertwined in with the loose pieces of the mid-height pony creates a very casual and feminine feel. 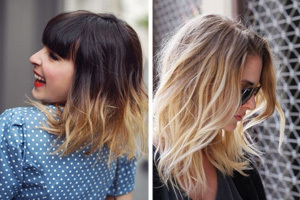 For gals who love to add some fluff and mess with plenty of feminine attitude, this is a surefire way to do it. She adds a delightful ribbon braid to her hair- which is both quirky and creative- pairing well with the overly messy and unkempt look of her style. 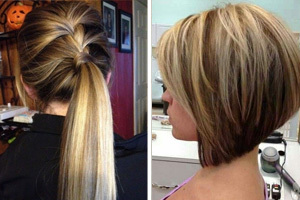 Leaving your ponytail to its own devices can be boring and dull. Even when you’re heading to the gym to work out for an hour and be drenched in sweat, it’s no excuse not to shake things up a bit and add some femininity to your looks! 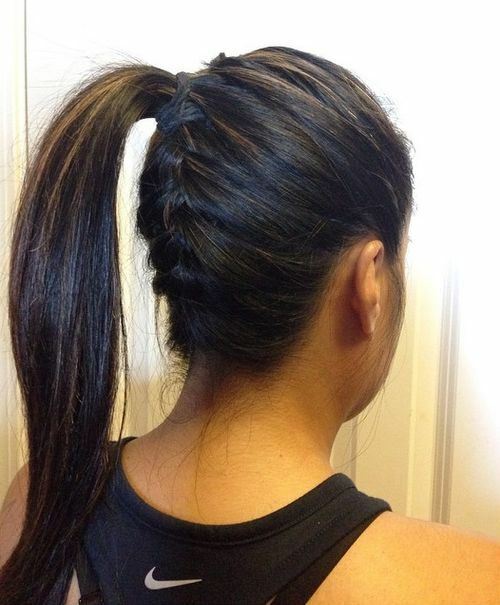 This underbraid is sweet and sassy, but easy enough to be worn to the most strenuous workouts. Ponytails don’t have to just be for casual days or hitting the gym; they can easily become one of the most elegant styles, suited for a princess or Queen. 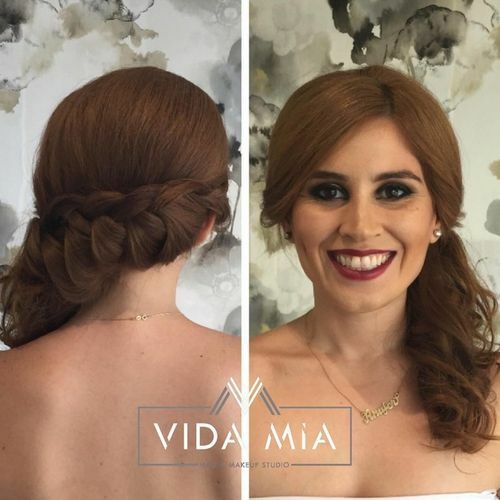 This look oozes with delicateness and romance, with a loose, super thick side french braid leading back to a pony that’s dazzled with voluminous waves. So fancy! 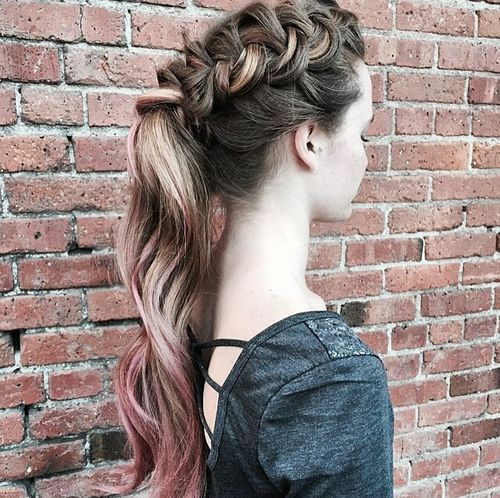 Step OUT of the box and go WILD with a mohawk dutch braid! Who said mohawks were reserved for men, anyways? 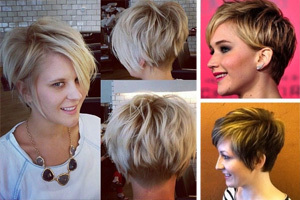 This mohawk is super edgy and cool, letting your inner rock chick shine through without being too crazy. 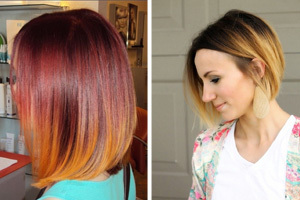 Add some unique colors to your hair to really make this look stand out. 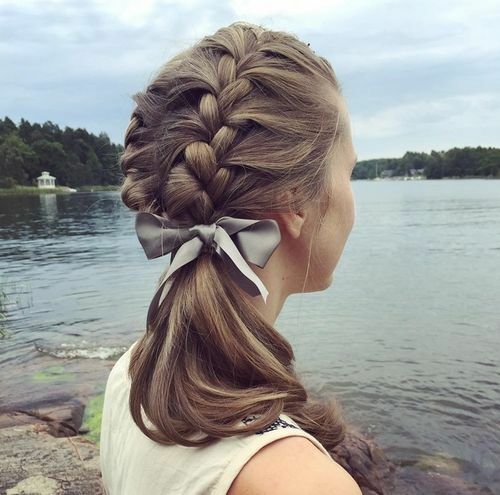 Okay, seriously ladies; double french braids are undoubtedly one of the most innocent and feminine styles on the planet, but with a bow added into the mix, it quickly becomes a girly masterpiece. 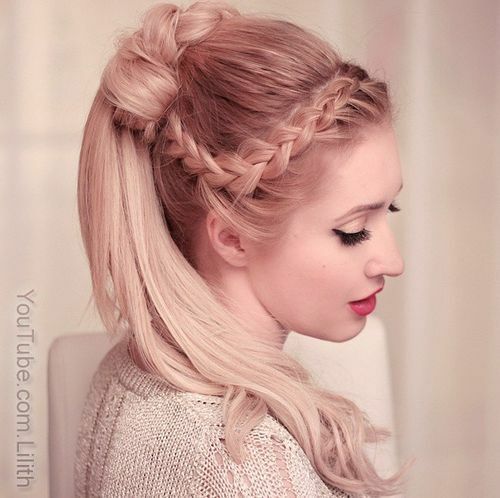 Keep makeup to a minimum with this coy hairdo! A side ponytail can leave out detail in the back of the head and nape of the beck, but this particular beautiful side ponytail ensures there’s plenty of styling from side to side. 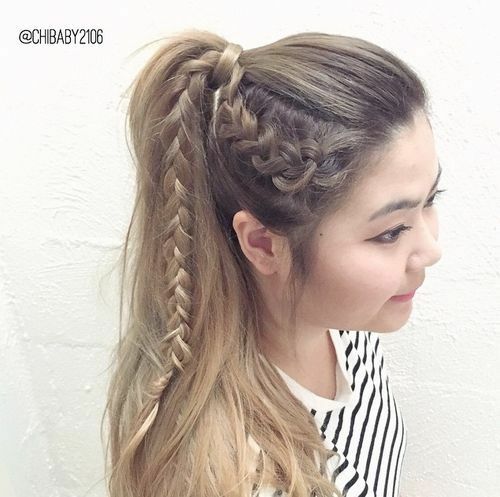 A charming low fishtail braid starts on one side of the head and is dragged out to the other side, leading to a side ponytail that’s glammed up with some luscious light curls. High ponytails instantly add some girly sass to your style, but you can enhance the divinity of this look by throwing in a french braid and giving your loose locks a quit tousle for a casual feel. It’s easy to throw your hair up in a ponytail and call it a day, but why settle for less? 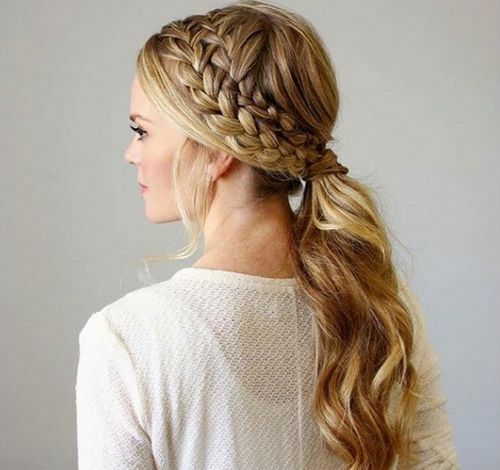 Give your look a lovely, feminine finish with a simple lace braid intertwined through your tresses. 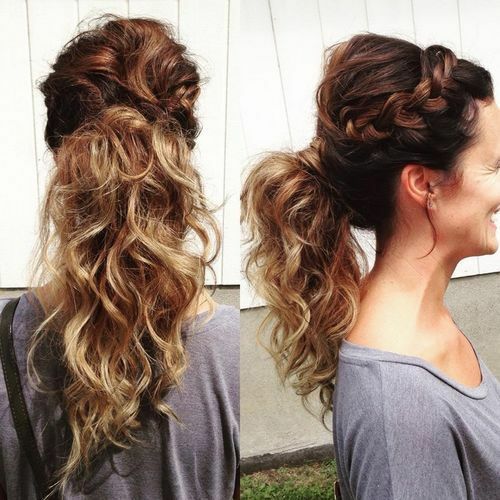 Take your mid-height pony from boring to WOW with a hairstyle like this one! 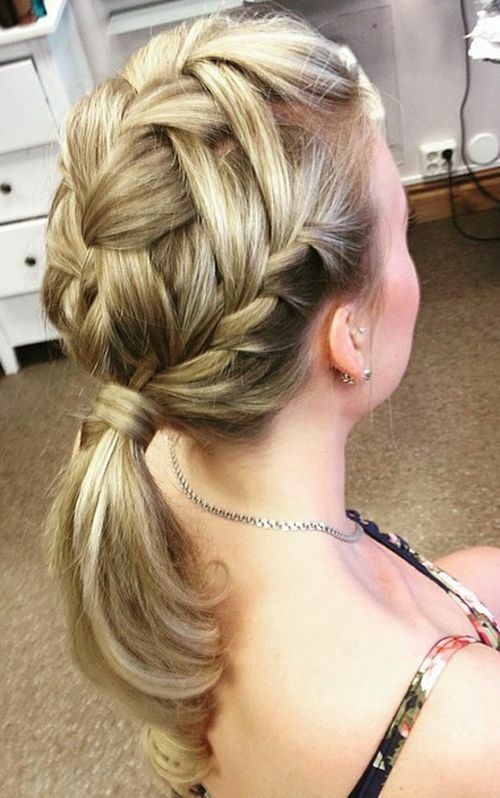 This ponytail features the fishtail technique of braiding, used in two separate sections to wrap around the base of the ponytail several times. 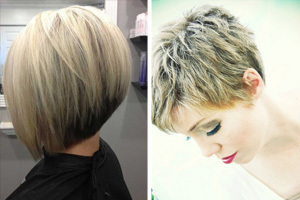 There’s added wrap-around volume up top as well, leaving you with plenty of height and spunky attitude. Some girls stick to a single french side braid, others two; but you? 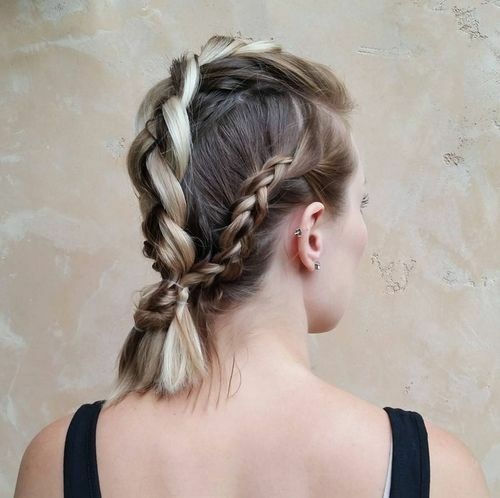 You stand out from the pack with not one, not two, but THREE amazing french braids. The look is popping with charming dimension and the fullness of this low ponytail is unbelievable. A casual, yet totally cute little number to take anywhere.